4 images. 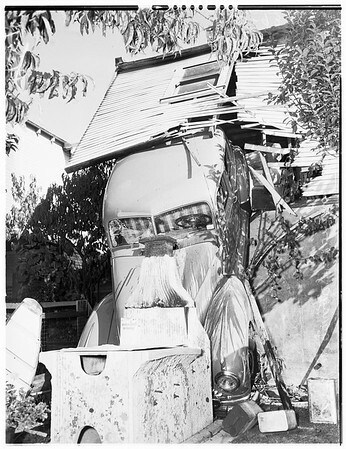 Car through garage (Coronado Terrace), 8 October 1951. Ben Ferguson (owner of car looking over damage). (Sleeve reads: A-9348).